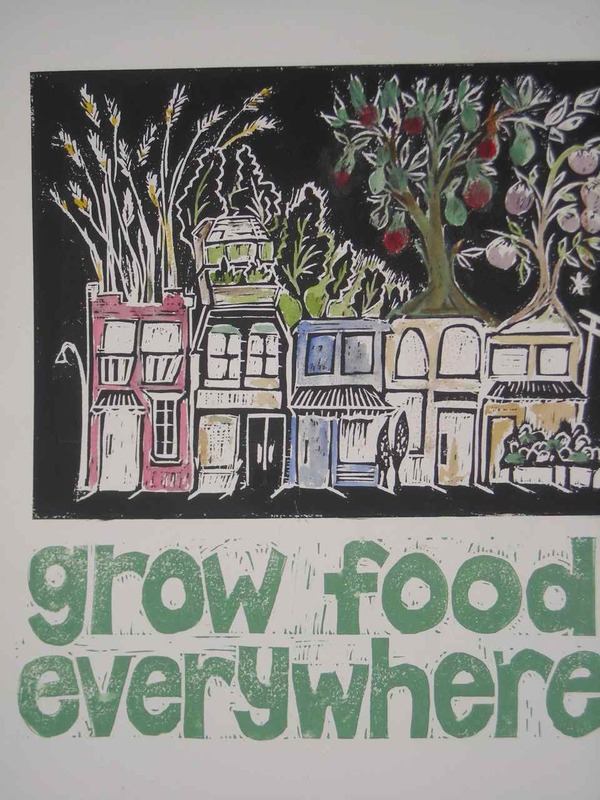 After a few days of carving, reworking, and asking a lot of opinions from others, my new poster “grow food everywhere” poster is done. 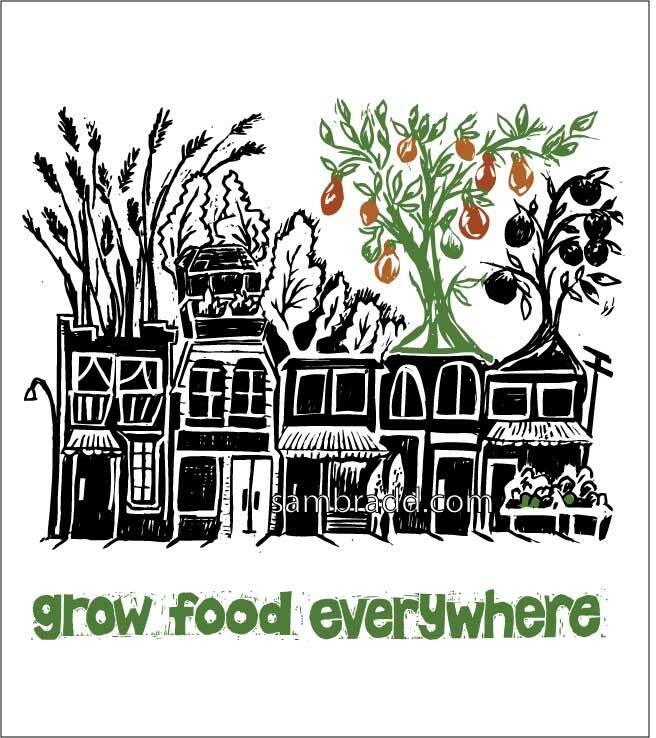 It’s meant to support gardens in the city- by everyone- and to encourage that gardens include staples like wheat. 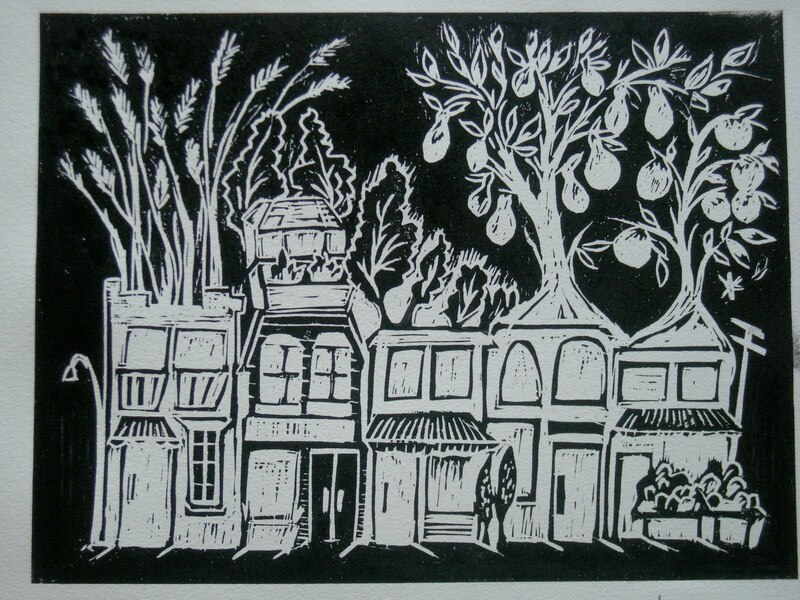 First, I carved the buildings and garden image on a thin piece of lino about 8×11. I carved the letters on a soft carving material, about 8x 4 inches tall. Then I printed them on the same piece of paper, but decided the letters were too big. I also began experimenting with colours. I used green ink, black ink, brown inks, and even hand-coloured with watercolours. Finally, the best option was to import the two graphics into Illustrator and convert them to vector images. 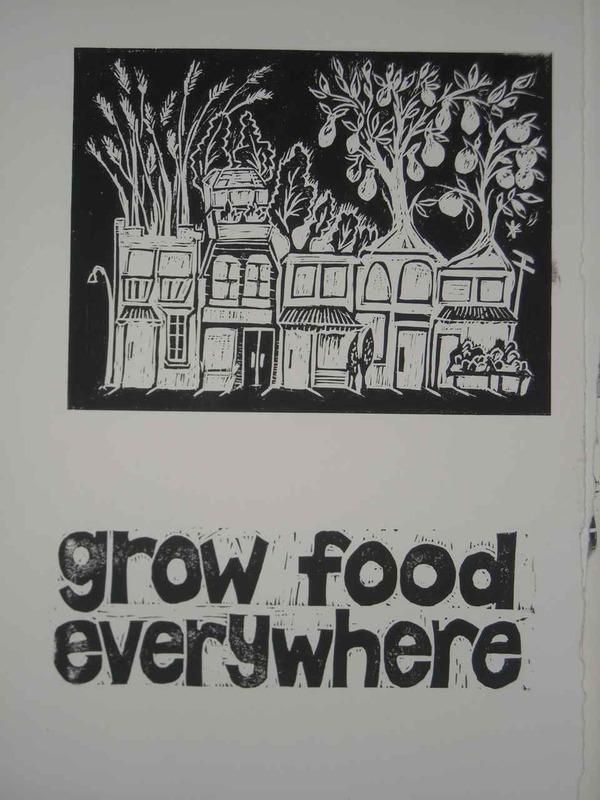 This allowed me to reverse the print as well, which gave me a different perspective on white space. A very different process for me, and I’m pleased with the result. 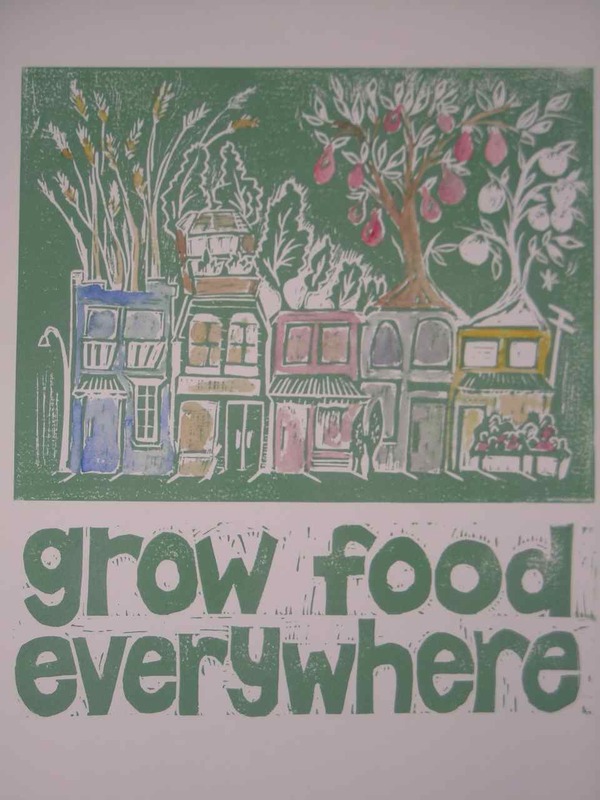 I used to work at Gorilla Food and my boss, Aaron Ash, had your “grow food everywhere” print in the restaurant. I have wanted one every since and finally found your website! Do you still make them? Id love to get one for my partner for his birthday, how much do the prints cost? Looking forward to hearing from you, and thanks for doing what you do!